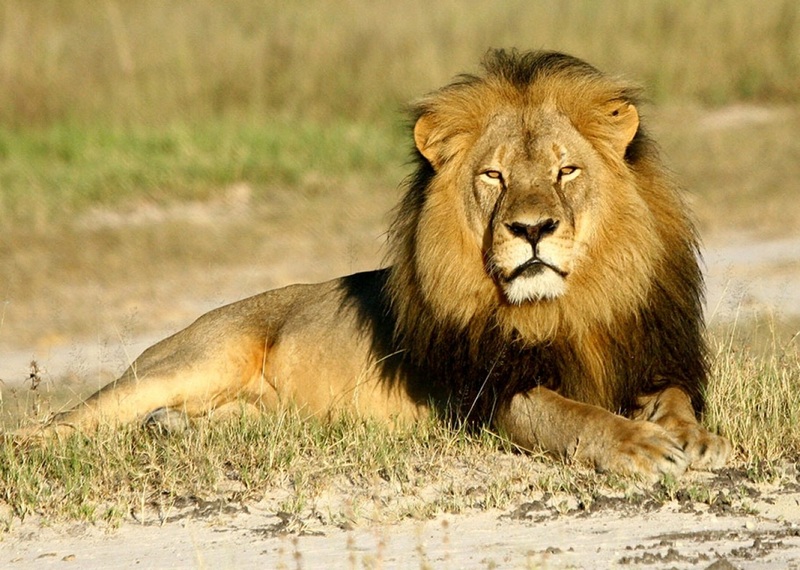 Days after the killing of Cecil the lion, I was still angry. I even refused to read alternative points of view. Mainly, because I wanted to hang on to my anger. "There was no way this was justified" I thought, so, don't try and tell me otherwise. That was my gut feeling. One thing that a reasonably long life has taught me, however, is that feelings can't be trusted as a measure of truth. And they certainly don't constitute meaningful evidence of any kind. Inevitably, I began to read alternative points of view, beginning with a piece written for “Reason Magazine” a Libertarian publication that's generally indifferent to the Left/Right dogma that informs most American political debate. The writer told the story of a hunter that paid $350,000,00 dollars to hunt and kill a critically endangered Black Rhino. My initial reaction was to hunt this murderous scum down and do to him, what he had done to the rhino. “What's he do for fun” I wondered, kill Komodo Dragons and turn them into steaks? But things are not always as they seem. The hunter was well aware of the endangered status of Black Rhinos. And, he was willing to pay the extraordinary fee to help in the much needed conservation of the species. It also did a helluva a lot of good for the native people who suffered with an 80% unemployment rate and a level poverty that is completely foreign, to even the poorest Americans. Still, what was the idea, kill a healthy animal for sport, in order to create the illusion of being conservation-minded? As it turns out, the rhino that had been chosen, was one that was well known, he was old and could no longer reproduce. The problem with rhinos, however, is they remain aggressive and willing to fight off younger rivals, in an effort to protect their turf. This can limit the number of baby rhinos that are born, which can be harmful to a severely endangered rhino population. If their numbers were greater, a younger, stronger male would more than likely injure the older one in combat, driving him off to die. So, targeting this particular rhino for the hunt was a benefit to the overall health of the population. It also gave an enormous economic boost to the desperately poor Africans. One can only imagine what $350,000,00 U.S. dollars translates into in such a poor economy. Think of those old UNICEF ads where a few cents could feed a child for a month or so. The animal in question is still wild, though, and has to be hunted and very carefully singled out from the other rhinos. It isn't just held in a pen or corralled and then shot. This gives the hunter the thrill of the hunt—and, ultimately, the animal is killed as quickly and humanely as is possible. The hunter and crew give thanks for the rich bounty that the rhino provides and every part of the rhino, then, is utilized for the benefit of all, including skin, eyes, meat, horn, bones, even it's innards. Is this how Cecil the lion was killed? Maybe? But there are differences, and those differences are important. In the end, I'm still bothered by trophy hunting. But then, I'm bothered by the unnecessary death of a lizard, a frog or just about any other living thing. Having said that, the hunter of the rhino has done far more for the conservation of this critically endangered species than I ever will. This brings me to one final point. When wealthy first world nations judge the behavior of people so desperately poor, that they hardly qualify as third world, and then hold them to our elevated standards, which are, at best, misguided, it is we who are wrong. The president's recent trip to Kenya makes that clear. Lecturing a nation of people struggling just to survive about gay rights, may seem noble from our point of view, but from their perspective, neither Cecil the lion or Gay rights seem much of a concern. That isn't a justification. It's common sense. Food, shelter and medicine for the old and sick, for children struggling with disease and abject poverty, is and should be their first priority. If not, there will be no conservation, no life or liberty, only suffering, with no people, no rhinos, nothing.